Newspapers: Athens News is an English-language newspaper published every Friday. 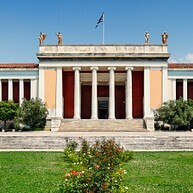 The National Archaeological Museum, in Exarchia, is home to Ancient Greece’s most spectacular pieces. One room contains Schliemann’s finds from Mycenae, another has the famous frescoes from Santorini on display. There is also a fine collection of idols from the Cyclades and ceramics. 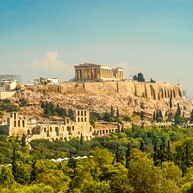 The Parthenon, the temple of Athena, is the major city attraction as well as a UNESCO World Heritage Site. 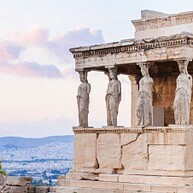 The Erechteion displays the statues of the female Caryatids, though the original statues have been replaced by copies due to air pollution (the originals are in the new Museum or ... in London). On the southern slopes of the Acropolis lies the Odeon of Herodes Atticus, a Roman theatre with room for as many as 5.000 spectators. 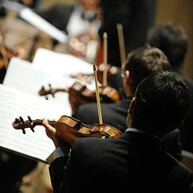 It is used during the annual Athens Festival for world-class ballet and music performances. The Theatre of Dionysus lies beside Herodes Atticus, and almost all the tragedies and comedies of Ancient Greece were written for this theatre. During the antiquity, the Agora played a major role as both a marketplace and a political centre. The Agora is dominated by the Stoa of Attalus and the Theseion, or Hephaisteion, dedicated to the God of metalworking and also to Theseus, one of the heroes of Greek mythology. 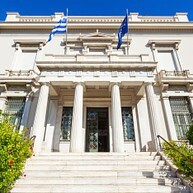 Benaki is a history museum with Greek art and objects from the Stone Age up to the War of Independence against the Turks. 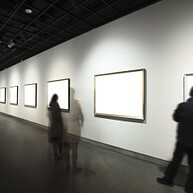 It lays its pieces over three floors and apart from seasonal exhibitions, the museum offers events, courses and publications to educate the audience of all ages. The annexed cafe-restaurant welcomes you in a relaxed ambience where to enjoy dinners, lunches or breaks before exploring the museum. Mount Lycabettus (in Greek: Lykavittos, Λυκαβηττός) lies right in the centre of Athens, rising 277 meters (908 feet) above sea level. Getting yourself up to this altitude (walking or with the funicular — although walking is worth it) gives you an exquisite 360° view over Athens, the Aegean sea and the ships in Piraeus. When the sky is clear, you can see all the way to the mountains in Peloponnese. Apart from the view, there is also a chic cafe-restaurant, a 19th century Chapel and an amphitheatre up there. Well worth visiting and at the foot of the Acropolis lies the new Acropolis Museum. Brief presentations by Museum Archaeologists-Hosts are held in Greek and English every Friday, Saturday and Sunday. The museum restaurant offers panoramic views of the Acropolis and a 700 square meter public terrace commanding a breathtaking view of the historic hills of Athens. The Temple of Hephaestus is a well-preserved ancient Greek temple built in 450 BC for the worshipping God Hephaestus—considered the protector of blacksmiths, craftsmen, artisans, sculptors, metals, metallurgy, fire and volcanoes. This may be one of the most well-preserved temples, not only in Greece, but in all Europe. Erechtheion is said to have been a great king during the Archaic Period, and legend says that he is buried nearby this temple. The temple is built on a slope which creates an interesting architectural fact: there is a 3 meter difference between the north-west side and the south-east side. The Museum of Cycladic Art contains more than 3.000 artefacts of Cycladic, Ancient Greek and Cypriot art pieces are on display throughout the four floors. This is an interesting museum to visit in order to get a greater understanding of this colourful culture. 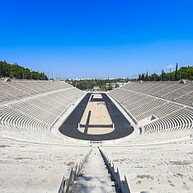 The Panathenaic Stadium was built in 330 BC and renovated for the 1896 Olympic Games. It is the world's oldest stadium which is still in use, and the only one in the world entirely built in white marble. Simply stunning. It is from here that the Olympic Flame is delivered to all the Olympic games. The Megaron, Athens' Concert Hall, was inaugurated in 1991 and it now houses four halls offering a variety of musical performances. It is famous for its top-notch spectacles and an impressive acoustic. It is also a beautiful place surrounded by pleasant gardens and really easy to access. Temple of Athena Nike is located on the south-west corner of the Acropolis. It is one of the earliest pieces from the Ionic order, one of Greece three classical architectures - and a great representation of it. Celebrating Athena "The Victorious", it is anchored deep in the Greek mythology. 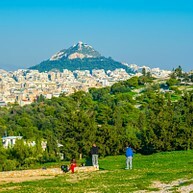 For a nice walk or picnic a bit outside the busy streets and squares of Athens centre, you can head to the Philopappos Hill. 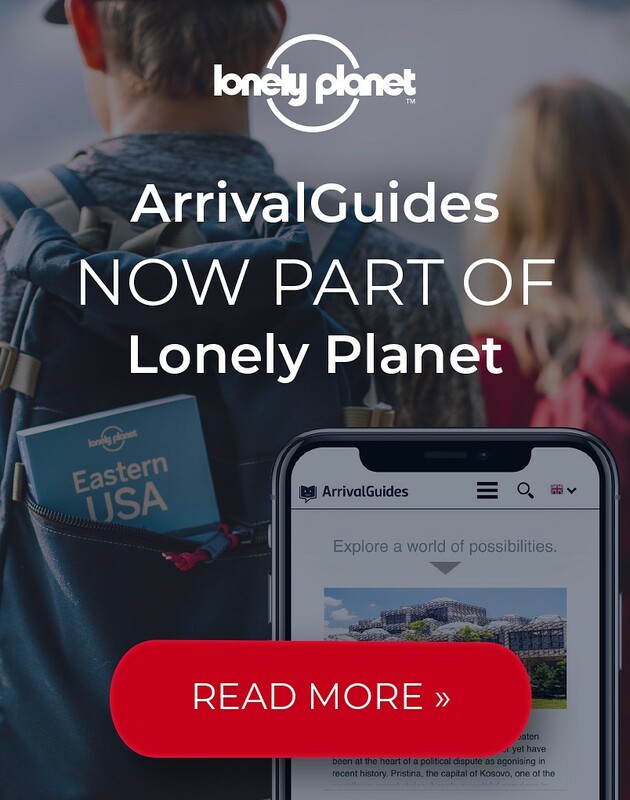 It offers a great view over the city and maybe the best view of the Acropolis, just far enough to embrace it all while avoiding the tourists crowd and close enough to see the beauty of its architecture. Located right beneath the Acropolis, this open-air cinema operating on a roof reopened in 1986 after being closed for almost 20 years. 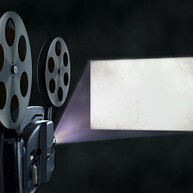 Named in honor of its creator—a Greek hairdresser who lived in Paris—it truly is an exceptional spot to catch a movie. 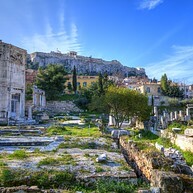 Monastiraki, right under the Acropolis offerts great views of it and it is one of the oldest neighbourhoods of Athens. Nowadays, it houses the local "Flea Market" but it combines also shops, cafes, eateries and touristic stores. It is one of the nicest areas to walk in but also one of the most crowded. In Monastiraki, the authentic lives side by side the fake "made in China" souvenirs -still, with its small streets branching out from the main square, it is the true heart of Athens centre. If you spend more than a few days in Athens and the weather permits it, you should go feel the maritime air around Glyfada and further on the coast. 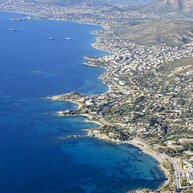 Glyfada is a nice beach town with many restaurants, shops, bars and cafes, accessible from Athens by bus and tram. In Glyfada and further on the Athens Riviera you will find several beaches where to relax while having a swim or sunbathing.